When it comes to making a business investment, the final choice is much more complex than it was a decade ago. Years ago, operations were more clearly defined by one or two sector strengths and the choice was often limited to the latest, fastest and most productive solution for a particular area of expertise. Be sure to bookmark our page listing future dealer open houses! Today, operations are looking to add more capabilities, discover different ways to hook in and hold onto customers and strengthen long-term relationships. The focus is less on a single sale and much more on creating a durable, mutually beneficial partnerships. Increasingly important in fostering this combined approach are open houses. Not only are suppliers and customers coming together at an informal but educational space but so are manufacturers and suppliers. We see this happening in Germany where one of our long-standing dealers IVM SignTex is hosting a number of open houses this month and next month. Among the Sawgrass solutions supplied by IVM SignTex, Walter Schulze and Karl Groener are the Virtuoso HD Product Decorating Systems that offer a total print solution for sublimation businesses. All components have been designed specifically to work together to produce the best possible prints. The only desktop printers on the market engineered for sublimation ink. They are perfect for customising and personalising a wide assortment of products. 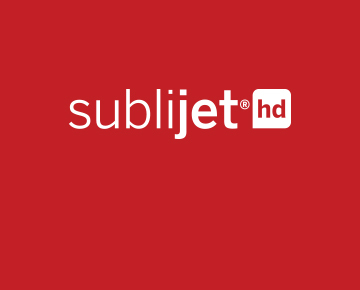 Four formulations of SubliJet-HD inks – these high viscosity ink sets deliver the largest gamut of colour for sublimation printing on the market, as well as deep, rich colours, neutral blacks, fine gradients and delicate skin tones. Virtuoso Print Manager is the next generation of PowerDriver – our original print driver for Ricoh printers – and is designed to manage colour based on the specific characteristics of all components of sublimation printing: the printer, the ink set, the substrate and the transfer paper. Combined with all the other components of the Virtuoso solution, Virtuoso Print Manager helps users print faster and save ink, while producing the best prints and colours possible. CreativeStudio™ online designer offers a vast library of continually updated images, print-ready designs, and sublimation-specific product templates direct from the manufacturers – saving thousands in software and artwork purchases. The Technical Support team at Sawgrass gives you one place to come for questions, support and service – direct from the company who created each Virtuoso system component. The BusinessBuilder library of sales, marketing, business and production videos, webinars and white papers are an invaluable tool for product decorators at all levels of skill. For more information, contact Ingrid Van Loocke at ivanloocke@sawgrassink.com or visit SawgrassInk.com.